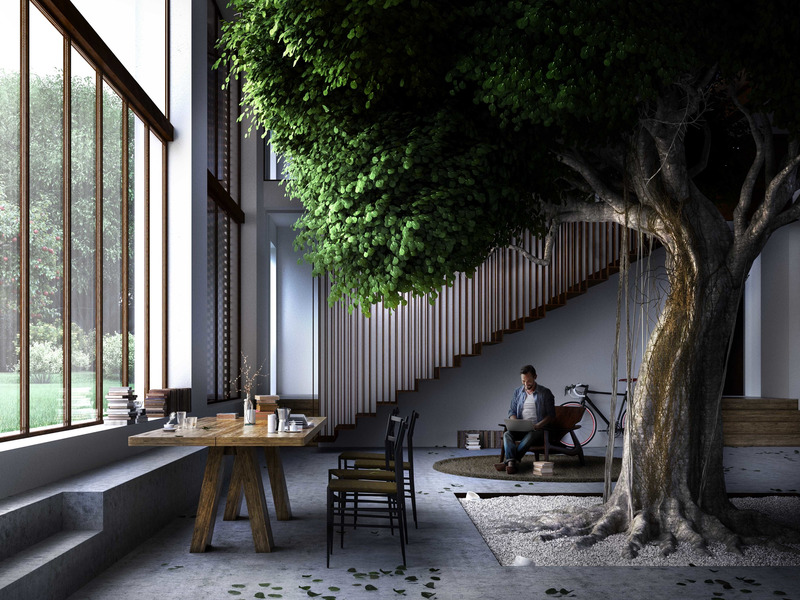 Carlo Ratti Associati will build the home, called the “Greenary,” as a private residence in the countryside of northern Italy. CRA is designing the property around a 50-year-old Ficus tree, which is native to Asia and Australia. The house will be split into six spaces; each one will serve a different purpose, such as practicing yoga, keeping a wine cellar, or listening to music. The design follows the architectural concept of “raumplan,” which calls for creating a sequence of rooms with different heights instead of distinct floors. Greenary’s dining room sits a little below ground level. It is at the bottom of the 33-foot-tall glass wall, so residents will be able to see donkeys and other animals as they eat inside. The entire complex is about 8,610 square feet. According to CRA’s website, founding partner Carlo Ratti said the Greenary design reflects “biophilia,” a theory that humans have an innate tendency to connect with nature.